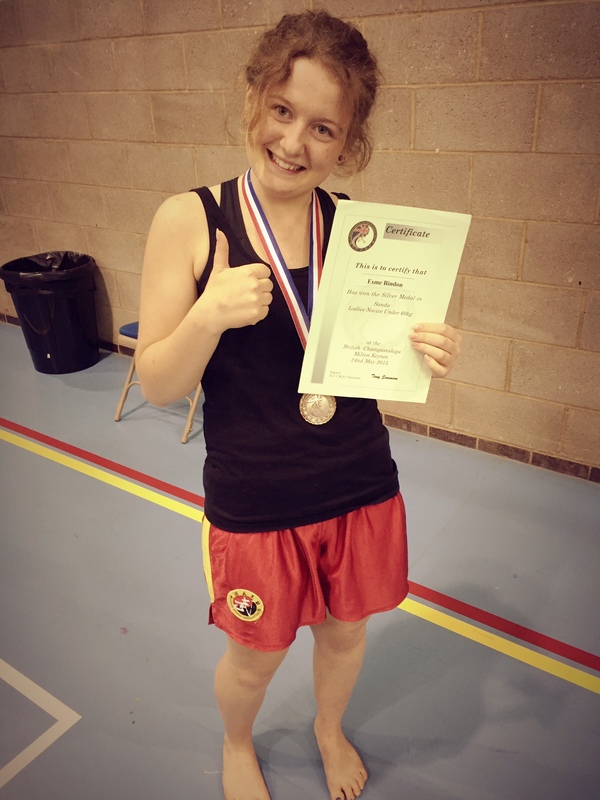 Esme Bindon won a Silver medal at the BCCMA full-contact National Sanda Championships on Sunday 24th May. 16 year old Esme was the youngest competitor in her weight category resulting in her having to fight in the Over-18’s Ladies category. Esme displayed strong spirit and good focus using solid technique incorporating punching, kicking and some very good take-downs. This was a great achievement for Hu Long Temple and the UK Shaolin Temple for such a young student to do so well representing the associated schools. Ez winning Silver in the Ladies Sanda under 60Kg.